Sometimes you just want a quick fix for dinner or the AIO bowl type of thing. 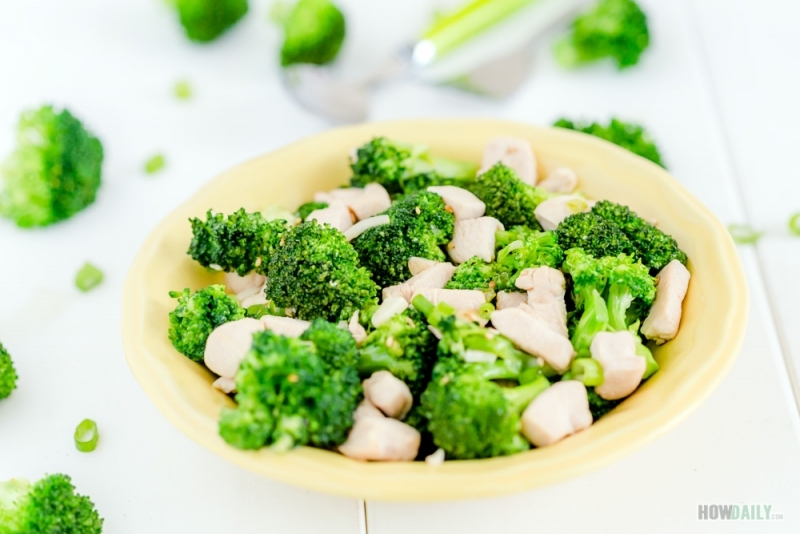 This chicken and broccoli stir-fry recipe is the perfect entree for those kinds of meal. 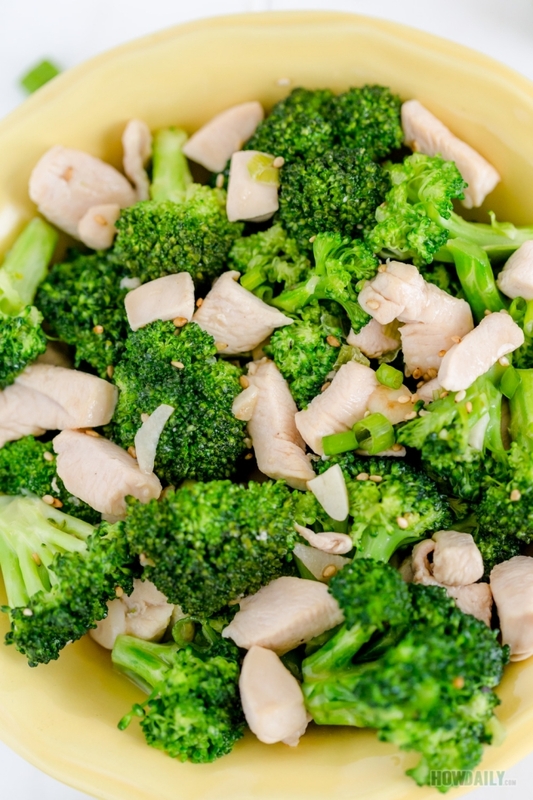 It’s quick to make (faster if you used frozen broccoli) and contains few ingredients than most other stir-fry dishes. 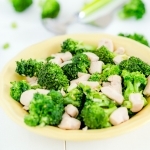 Plus, both chicken and broccoli are healthy, especially for those on special diet or meal restriction. Don’t want to use cornstarch, omit it and reduce the amount of liquid, just throw sesame oil straight into the pan for its aroma. I always pre-cook my broccoli beforehand with chicken stock to have their scent fully immersed before the final mix-in. Plus, doing this way I can control how crisp/soft my broccoli going to be. Cause sometimes, with frozen broccoli, you do have to cook longer in account for the temperature. This dish is simple to make, since most of the ingredients are the norm in my kitchen, it’s a quick fix meal for our family. But if you do grocery shopping, raw broccoli and fresh chicken always taste better. 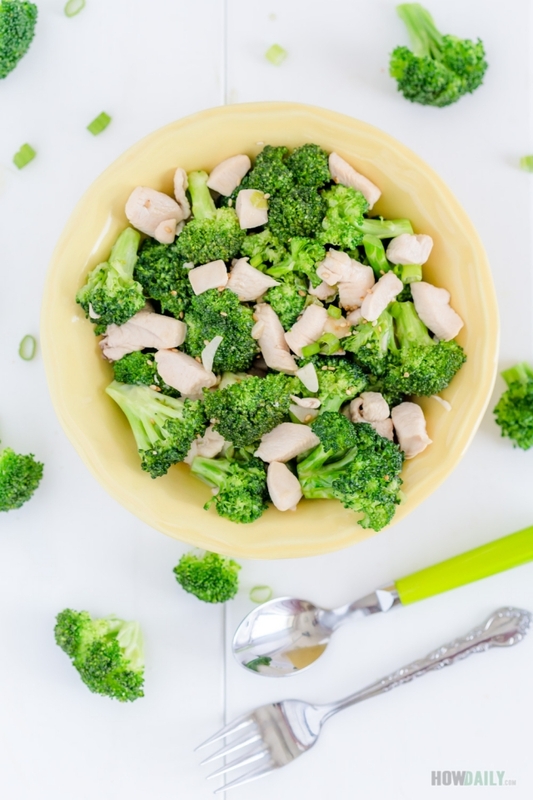 Stir-fry chicken with broccoli at its rightful crispy yet tender level in a well-thickening sauce that deeply amplify the oriental sensation. Enjoy this stir-fry dish hot over steamed or fried rice and any kind of pasta/noodle. Chop and Separate the green and white parts of scallion. Chop broccoli into equal pieces. In your wok or saute pan over high heat, add 1 Tbsp veggies oil and half the crushed garlic. Stir to lightly brown the garlic. Add broccoli (and optional veggies mix if used) and 1 Tbsp oyster sauce. Stir quickly to mix well about 2 minutes. Add 1 cup of chicken stock and cook until broccoli a little bit harder than desired tenderness(cover for 2 minutes if need). Stir a few times in between and Transfer broccoli (with liquid and all) to another container. Put that same wok/saute pan back onto heat source. Add 1 Tbsp of veggies oil, remaining crushed garlic and the chopped white part of scallion. Saute a few minutes till garlic brown and scallion soften, then add chicken. Now add 2 Tbsp soy sauce and 1 tsp sugar. Stir chicken well to mix. When the chicken is brown a little bit and its liquid reduced (not burnt), add the liquid from the cooked broccoli. Stir and cook for 3-5 minutes until chicken are fully-cooked. Meanwhile, prepare the sauce by whisking all the sauce ingredients in a separate container till fully mix. Add back the broccoli, stir a few times to mix with chicken. Pour the prepared sauce (while stirring its container to make sure no cornstarch residue on bottom) into wok/sauce pan. Stir the chicken and sauce mixture well to fully incorporate. You will notice that the sauce become thick and more sauce-like now. Remove from heat and sprinkle some roasted sesame or ground pepper.